Spectrum Heating & Cooling is a fully licensed and insured HVAC company servicing the Metrowest and other areas of Massachusetts. We are a company that cares deeply about the comfort and satisfaction of our customers. Spectrum offers residential service, repair and installations. We are well trained, and take pride in our work so we can ensure that every job results in a happy customer. We service and install home air conditioning systems. We have all the required industry training and experience so we can service most brands and models. We can help you find and install the most efficient, state-of-the-art, economical systems. We service and install home furnace systems. We pride ourselves on having extensive industry training and experience so we can service most brands and models. We can help you find and install the most efficient, state-of-the-art, economical systems. We service and install home boiler systems. We have all the required industry training and experience so we can service most brands and models. We can help you find and install the most efficient, state-of-the-art, economical systems. Other types include Tankless or Instant Water Heaters, Electric Heat Pump Water Heaters, and Solar Water Heaters. We offer the most efficient, state-of-the-art, economical systems. We are well trained and experienced so we can service most brands and models. 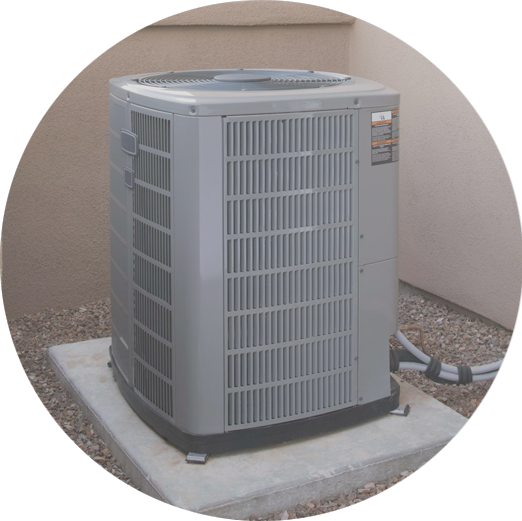 Heating and Cooling equipment manufacturers recommend, and some require that you do annual maintenance on your heating and cooling equipment to keep the units running smoothly, spot and prevent future issues and unwanted costs. We provide seasonal tune-ups to help keep your cooling and heating system operating at its peak performance. Regular maintenance can help extend the life of your furnace or air conditioning unit and keep it running efficiently, saving you money on your utility bills. Contact us to schedule your appointment. Spectrum Heating and Cooling installs and services all types of Mini-Split systems. These are cooling and heating systems that enable the homeowner to control the temperatures in individual rooms or spaces. They also have other advantages such as for room additions where installing ductwork is not feasible and for homes with “non-ducted” heating systems. [lvca_testimonials_slider slideshow_speed=”5000″ animation_speed=”600″ direction_nav=”true” control_nav=”true”][lvca_testimonial_slide]Joe was friendly, and knowledgeable. His quote was way lower than another well reviewed contractor who said we needed to replace all the ductwork in the attic. Joe said this was not necessary, and two other well reviewed contractors agreed. He got the job done in two days, he and his crew were polite, always wiped their feet before entering, and were very patient with our barky Corgi. He gave all the info and documents we needed to receive a $300 Massave rebate. [/lvca_testimonial_slide][lvca_testimonial_slide]Great, Joe honors his work even if it is 18 months later. A fitting broke causing a complete system failure on the 3 zone mini split. Joe came out, fixed the fitting and even installed a new stand for the outdoor compressor free of charge. Thanks again Joe. [/lvca_testimonial_slide][lvca_testimonial_slide]After reading the good reviews, we decided to contact Joe to get a quote. He was quick to respond and was the first one to show up. He did what he needed to do to measure our house and answered all the questions we had. He was very patient throughout the whole inquiry phase. In the end, his pricing was very competitive, which made him the clear winner for the job. Joe is very customer oriented. He would work with you on any questions with a very calm demeanor. The job went smoothly with no issues so far. Post installation, Joe even worked with us on submitting a rebate by providing us with supporting documentation. Overall, Joe is a very down to earth person with superb customer service and I would work with him again if we needed another unit. [/lvca_testimonial_slide][lvca_testimonial_slide]Joe did a very good job of installing four mini-split heat pumps to heat and cool a large portion of our house. He was knowledgeable and easy to work with. He spent extra time planning the placement of the outdoor units and linesets to make them be as unobtrusive as possible. He was careful and methodical, and produced a very professional looking result. [/lvca_testimonial_slide][lvca_testimonial_slide]From start to finish Joe from Spectrum Services was the consummate professional. Joe is thoroughly knowledgable in the different Heat & A/C mini split units available and made excellent recommendations. He went as far to make sure to recommend a delay in installation so that we could get the newest model available, secured available manufacturer discounts, and assisted in securing rebates. At installation Joe was careful to never track dirt into the house and knew to not let the dog out when he was in and out. We are totally satisfied with the units and would recommend Joe Arianson from Spectrum Services to all of our friends and family. [/lvca_testimonial_slide][lvca_testimonial_slide]These guys are great! Gave me a very fair bid and came in exactly at that price. Workers were very neat and courteous. They treated my house as if it was their own. The quality of the boiler and water heater are exceptional. My house is more evenly heated and hot water is plentiful. With the more efficient equipment, my bills are much more tolerable. I highly recommend Spectrum Heating and Cooling to anyone looking to improve their home! [/lvca_testimonial_slide][lvca_testimonial_slide]His price was the best I have had. I have already recommended him to friends. Joe does excellent work. Another thing I like about Joe is he can do the electrical work in addition to hvac whereas other providers have to contract the electrical work out which raises the price. [/lvca_testimonial_slide][lvca_testimonial_slide]Our old oil furnace was old and far from efficient. We spent 2 weeks interviewing various providers from Angies List. Among them there were some big company names, and some tiny ones, so there was a lot to chose from. We are very pleased with ourselves that we selected the best one : Joe Ariansen of Spectrum Heating.